(16/P65) TRENTON – News of the country’s freedom will spread throughout Ringwood State Park and beyond on Monday, July 4 when a dramatic delivery and reading of the Declaration of Independence takes place to herald its adoption and the nation’s birth 240 years ago. The program, along with a variety of colonial-themed activities and demonstrations, as well as the presence of Revolutionary War re-enactors, are part of Ringwood Manor’s 17th Annual Independence Day Declaration of Independence Reading and July 4th Celebration sponsored by the North Jersey Highlands Historical Society and Ringwood State Park. Festivities will begin in front of Ringwood Manor inside the park at 1 p.m., followed by the reading of the Declaration of Independence at 2:30 p.m. The free event is rain or shine. The celebration at Ringwood Manor will attempt to recreate the same excitement when colonists first heard the news of the Declaration’s adoption 240 years ago. News of the adoption of the Declaration of Independence on July 4, 1776 spread to colonists in America through traditional, public readings in large, open places such as town squares, churches and taverns. Festivities in a town-square setting in front of Ringwood Manor will kick off at 1 p.m. Children can play with colonial-era toys and games, and visitors of all ages can use a traditional quill pen and ink to put their “John Hancock” on a copy of the Declaration of Independence. At 2 p.m., there will be a brief introduction about the history of the area and the Declaration of Independence. 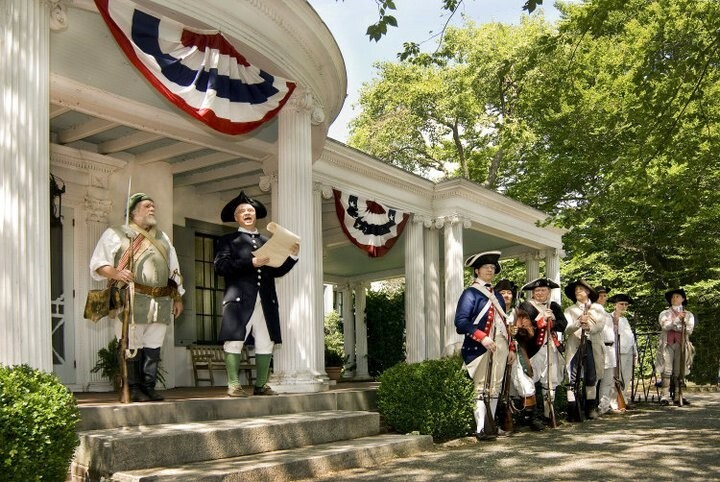 A lively debate involving British soldiers, area Loyalists, and Colonial rebels who supported the fight for Independence will break out, followed by the arrival of a horse and rider to deliver the Declaration of Independence to the front steps of Ringwood Manor. The document will be read aloud at 2:30 p.m. and a “Hopkinson flag” will be raised afterwards. 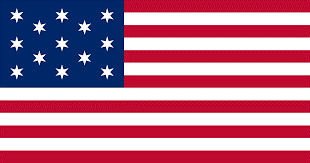 The “Hopkinson” flag – so named for New Jersey’s own Francis Hopkinson, who designed and named it – was believed to be the first version of the new nation’s flag. A ceremonial musket volley is planned after the flag-raising, and the bell at Ringwood Manor will ring 13 times to conclude the ceremony. After the ceremony, Continental Army re-enactors will teach children military drills, Colonial-style dancing will be offered, and baked goods typical of the 18th century will be available for purchase. Admission to Ringwood State Park is free. Parking is $5 for state residents and $7 for out-of-state residents. Ringwood Manor will be open for self-guided tours from 10 a.m. to 1:30 p.m. that day. Admission to Ringwood Manor is $3 for adults, $1 for children ages 6-12, and free for children younger than 5.